While pregnant, one of the foods I missed the very most was sushi. I occasionally tried to quell my craving by going out for veggie sushi, but I was always a bit bummed that I was paying so much and still missing out on fish. When Dale told me how a co-worker brought something he called a “Deconstructed California Roll Salad” to a potluck, I was fascinated. I had to try it myself. 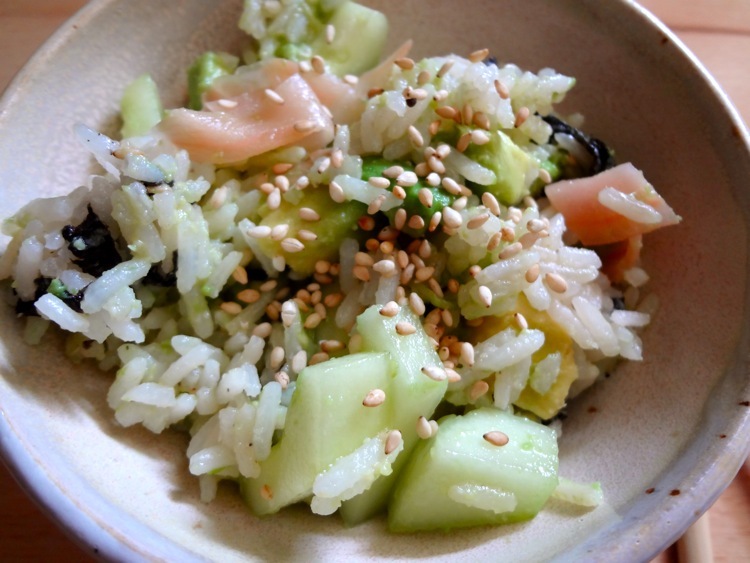 We didn’t have the recipe, so I set out to make my own version based on the original concept Dale described: a rice-based salad with cucumber, avocado, and pickled ginger. The end result was absolutely delicious! It completely satisfied my sushi craving, even without the fish. This is definitely going down as a go-to side dish in our house. In a small bowl, stir together vinegar, soy sauce, oil, fish sauce. Pour over rice and stir together. Rice should be moist and sticky. 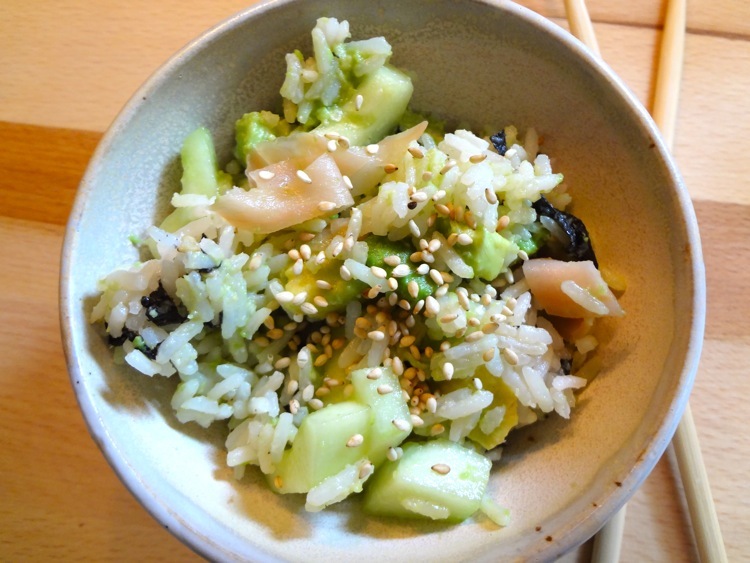 Stir in sesame seeds and nori. Stir in chopped cucumbers, avocados, and ginger. Serve cold, topped with sesame seeds. Love the idea of making a salad with these staple sushi flavours – yum!